Comfort Food. A hot bowl of noodles on a cold day is a great way to enjoy these bowls. This set includes two 5.5" bowls and two pairs of chopsticks to share comfort and warmth with a good friend. 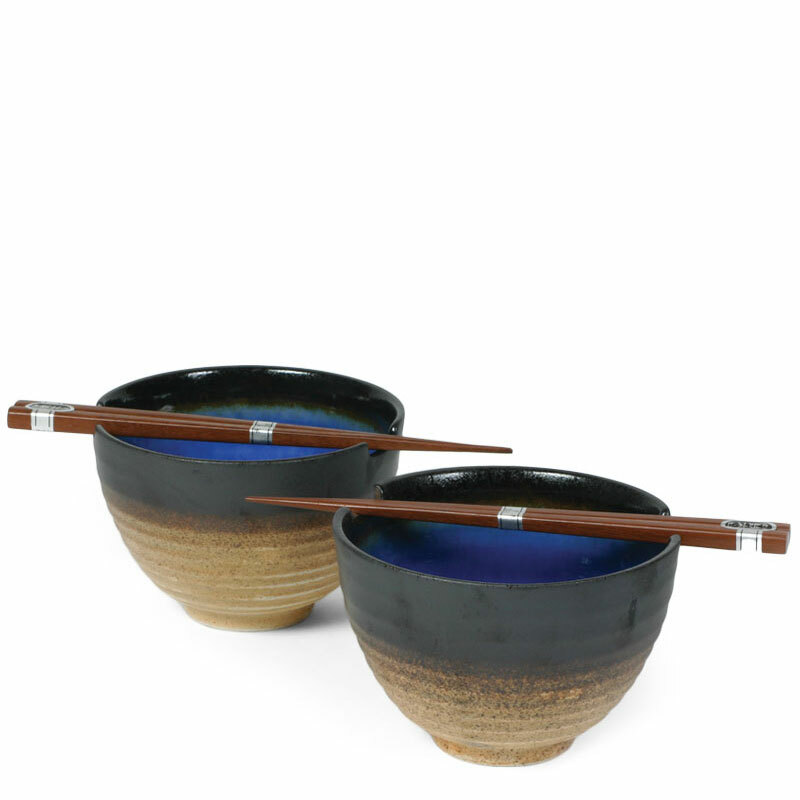 Bowls are notched to hold the chopsticks if you feel like taking a break. Packaged in a black gift box. Please note that this item has a crackle glaze as shown in an image of another item in this series. This is not a defect. Color may also vary slightly.